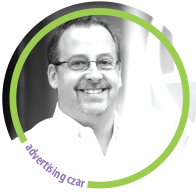 Founder and President, Bruce C. Bryan has put his two decades of experience in media and advertising to work for his clients. With a varied background that includes advertising, management, business development, marketing, strategic planning, media relations and branding, he has created relationships with clients to maximize their investments and ensure the success of their marketing and advertising campaigns. He understands the advertising process. He utilizes a variety of tools to create customized solutions to the wide variety of problems companies face in these competitive times. Winner of the 2006 National Association of Broadcasters “Best of the Best” Sales Promotion award, Bruce captures and implements creative solutions to everyday business problems. He’ll work with your company to formulate a strategic approach and execute the program to deliver success. He has managed broadcast advertising departments at television stations in Michigan, Ohio and Virginia and dramatically increased market share at each. He’s been recognized professionally for sales achievement in Flint, Michigan and Roanoke, Virginia. Personally, he’s volunteered in and run community organizations such as the Saginaw Valley Chamber of Commerce (Ambassador of the Year), Advertising Club of Toledo (President 2001), Ad Fed of Saginaw Valley, Mayor’s Task Force (Lansing, Michigan), Easter Seals of Michigan and the Creative Connectors (Roanoke, Virginia). Bruce is active on college campuses – speaking at such institutions as – Bowling Green State University, Roanoke College, Virginia Tech, University of Toledo, University of Findlay, Jackson Community College, Owens Community College, and Northwood University on a variety of topics such as advertising, television media, marketing, sales and sales promotion.